Ronald Michael Delany was born near Arklow in Co. Wicklow on March 6, 1935, but he grew up in Sandymount, Dublin, and the fact that this area was strong when it came to sport probably played a significant role in his development as an athlete of considerable talent. Ronnie’s Meath links are very strong as his father, Patrick Anthony (PA), was born at Growtown, Batterstown, in the early part of the last century and is buried there. Ronnie still has five cousins living there, while his brother Paddy resides at Lynaghstown, Batterstown, close to The Hatchet. He fondly recalls summer holidays as a youngster spent at Growtown, where shooting was a hobby, and visiting an elderly aunt, Annie Delany, at Alexandereid, just outside Navan. The former Olympic champion can also recall a memorable era for Meath football and remembers Brian Smyth playing for the county and captaining them to the All-Ireland senior title in 1949 - Meath’s historic breakthrough in the grade. Peter McDermott, captain of the team that brought the Sam Maguire Cup to the county for the second time in 1954, is another star player of that era he remembers lining out for the Royal County. "I was fed on good Meath eggs, fresh country eggs," Ronnie joked. When Delany crossed the finish line in Melbourne almost half a century ago he became the first Irish athlete since Bob Tisdall (400 metres hurdles) and Pat O’Callaghan (hammer) in the Los Angeles Games of 1932 to claim Olympic gold. The Crusaders’ clubman, who was always renowned for his tremendous finishing speed, produced a blistering last 200 metres of 25.6 seconds in the final and that helped him to an Olympic record of 3:41.2. 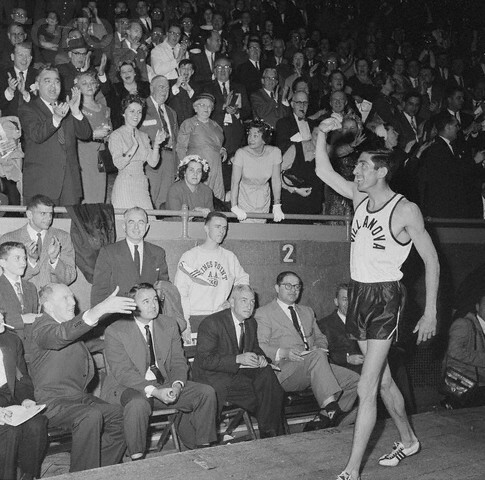 The German Klaus Richtzenhain finished second and that great Australian athlete John Landy, who had set world records over both 1,500 metres and the mile in the summer of 1954, was third. It’s remarkable to think that only a matter of months before his tremendous triumph in Melbourne there were those who thought Delany’s form didn’t merit a trip to the Olympics. During the summer he had lost two mile races to his big English rival Brian Hewson in College Park, Dublin, but Delany went on to demonstrate just how foolish it would have been to leave him out of Ireland’s Olympic team. 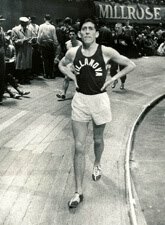 Delany, who had to obtain special leave of absence from Villanova University in the United States to travel to Melbourne, qualified for the 1,500 metres final comfortably from the second heat which was won by Australian Merv Lincoln in 3:45.4 from Britain’s Ken Wood, with the Irish man clocking a time of 3:47.7. A field of 12 runners lined up for the final on a warm and still December afternoon and most eyes were on the immensely talented Landy who carried with him around the three and three-quarter laps most of the hopes of the home country. Murray Halberg of New Zealand led from Hewson after the opening 400 metres, with Delany content to sit back in second last place. With two laps remaining Lincoln was out in front and running strongly, while Delany had only two athletes behind him and was clearly going to need to call on that renowned finishing speed if he was to claim a medal for Ireland. The sound of the bell to signal the start of the final lap is usually also the signal for these races to really heat up, but there was no bell as the official in charge got too excited by the action on the track and forgot to shake it. By this stage Hewson and Lincoln were disputing the lead and Delany was 10th, but only a matter of a few strides off the pace. With 200 metres to go Delany’s great speed really came into play and it needed to because Hewson was all of eight yards clear of the pack. The Irish man was making relentless progress and by the time they reached the last bend he had moved into second position and had only his great rival Hewson in front of him. As Delany surged to the front to take the gold medal, the unfortunate Hewson faded back into fourth place - the most dreaded of all positions in a final. That tremendous victory was the highlight of a wonderfully successful Melbourne Olympics for a very small Irish team comprising of only 12 representatives in all and just three athletes - Delany, hurdler Eamonn Kinsella and track runner Maeve Kyle. Apart from Delany’s gold there were four medals in boxing - Fred Teidt’s silver and bronze for Tony Byrne, Freddie Gilroy and John Caldwell. Athletes and cyclists in Ireland were bitterly divided in those years and the internationally outlawed NCA sent a cycling team on the long trip to Melbourne, but the three riders weren’t allowed to take part. As for media coverage of the Melbourne Olympics, there was only one travelling journalist from this country, Arthur P. McWeeney of the Irish Independent, and people back home depended on the old BBC Light Programme for live coverage on the radio. Delany’s 1,500 metres victory was relayed to Ireland at breakfast time. Just imagine the excitement on that crackling machine as the Irishman raced to glory. That fantastic triumph Down Under represented the pinnacle of Delany’s athletics career, but there were many other high points for a man who became involved in athletics through his older brother Joe who participated in events such as the 220 and 440 yards and the high jump and long jump. Brendan Hennessy and Jack Sweeney were influential figures during the early years of Ronnie’s career and he was coached by the renowned Jumbo Elliott during his time at Villanova University. His first achievement of note came when he qualified for the final of the 800 metres at the 1954 European Championships in Berne, before deciding to try his hand at the mile the following year. Delany’s acceptance of a scholarship offer to Villanova was a big stepping-stone in his career and in his first outing over a mile he set a new Irish record of 4:5.8 at College Park and another milestone was reached on June 1, 1956 when, at the age of 21, he became the youngest man to run the distance in under four minutes, clocking 3:59.0 in Compton, USA, and beating Gunnar Nielsen of Denmark in the process. 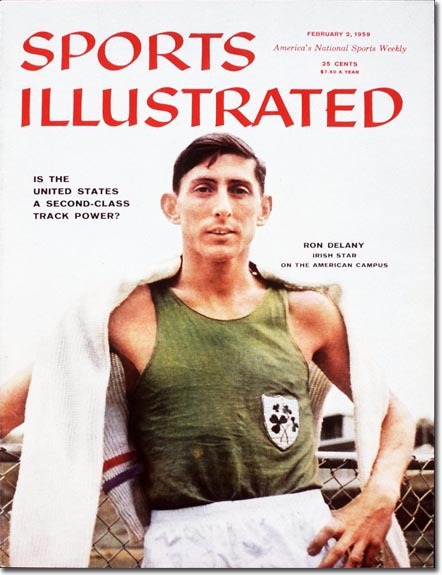 Delany was the winner of four successive AAU titles over the mile in North America, thus adding to his tally of four Irish national titles and three NCAA titles. 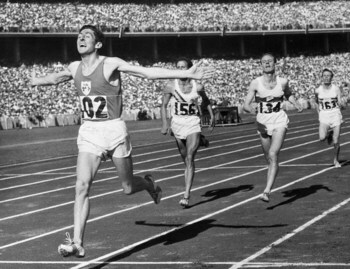 In 1958 he took the bronze medal in the 1,500 metres at the European Championships with a clocking of 3:42.3, as winner Hewson gained some measure of compensation for the disappointment in Melbourne, while also among his successes was a victory over 800 metres in the World Student Games in a time of 1:51.1. The Crusaders’ athlete broke the indoor world record for the mile on no fewer that four occasions in the late 1950s and set a European indoor record of 3:51.0 over 1,500 metres in 1957. Apart from that never to be forgotten trip to Melbourne and his great triumph in 1956, Delany represented Ireland in one other Olympic Games. That was in Rome four years later when he ran in the 800 metres and, affected by every athlete’s biggest dread, injury, he was eliminated at the semi-final stage. Delany retired from competitive athletics in 1962 and what great memories he must have brought with him to that retirement - particularly of that historic afternoon in Melbourne six years earlier. 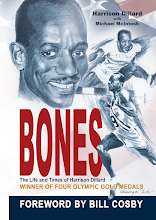 As an athlete he was gifted and he was also a tremendous ambassador for this country.